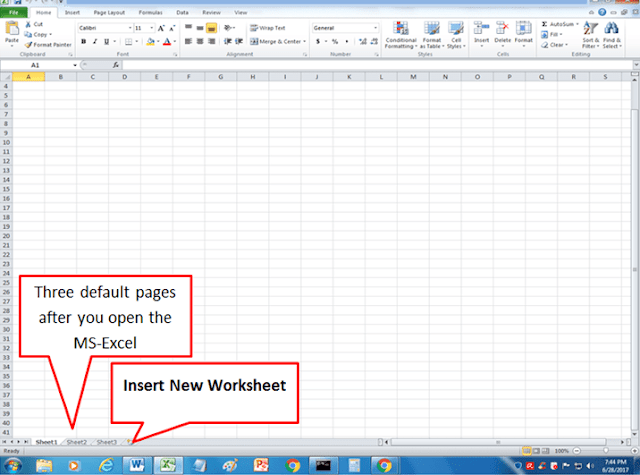 After you open Microsoft Office Excel, there are three worksheets as default pages in a single workbook in your computer screen. This is because you can create a workbook of data that maybe consist of multiples worksheets or workbook pages of your Excel application. Due to this, you need to add pages of worksheets or delete any of it. 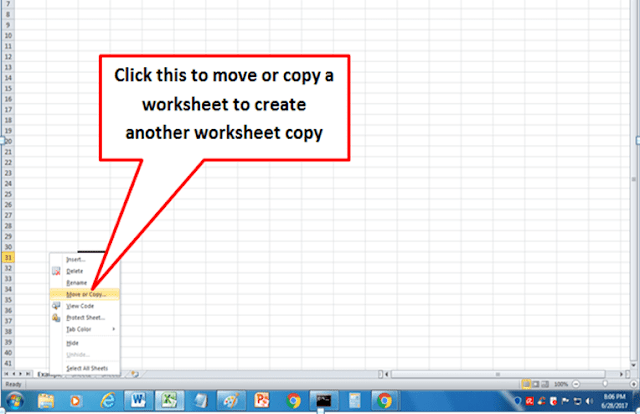 Or move any of the worksheets to create a copy and rename it and put color of every page tab of your workbook worksheet pages. 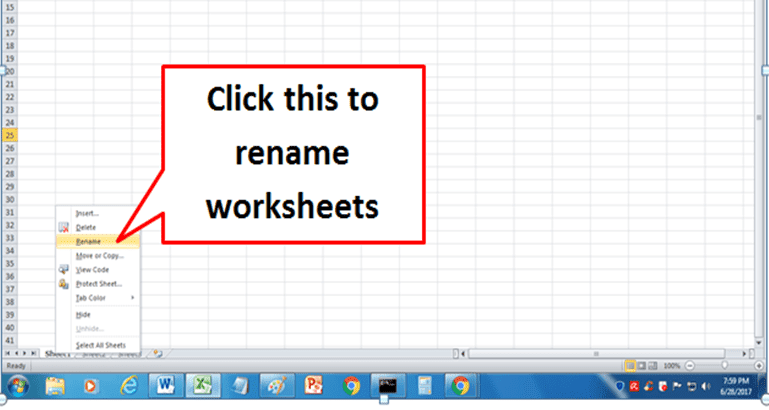 By renaming its worksheets tab and put color, you can easily identify the worksheets you want to open and work on it. 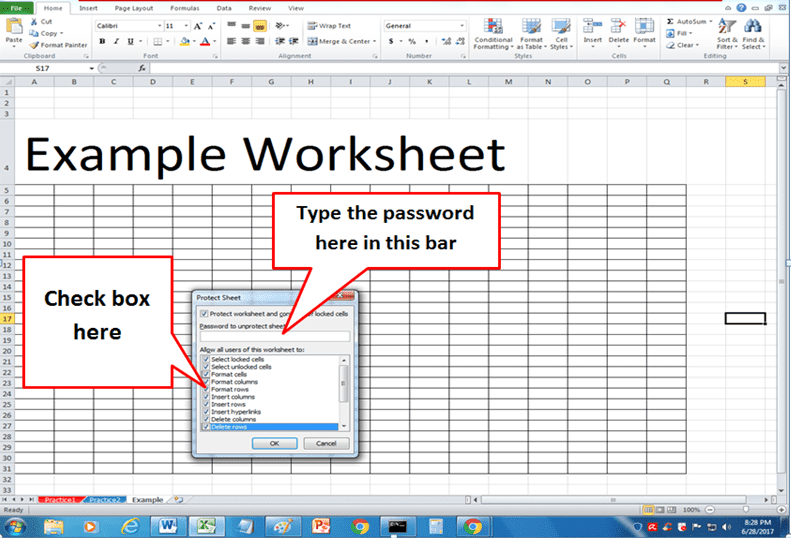 And after some work on your worksheets, you can set up passwords if you want to make it safety and nobody can open with it. Below are the instruction how to perform this in your computer. 1. 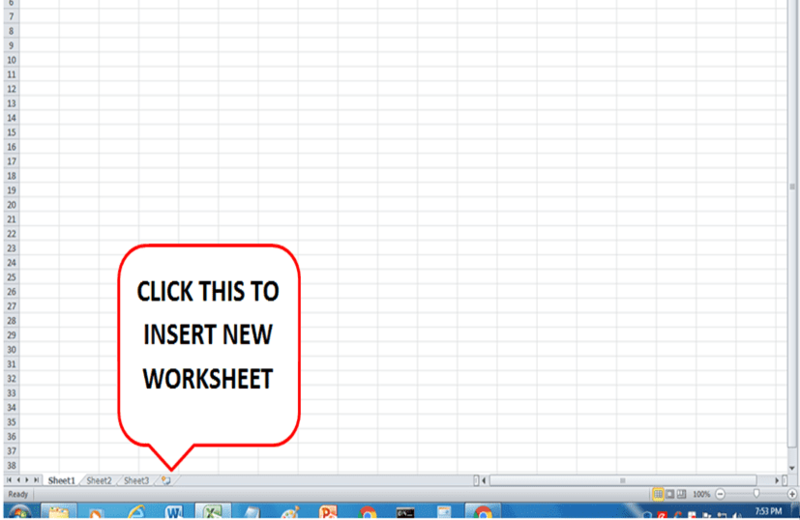 INSERT NEW WORKSHEETS IN YOUR WORKBOOK- In order to add another worksheet page you need only to click the button at the right side, called "Insert Worksheet". See image below here. 2. 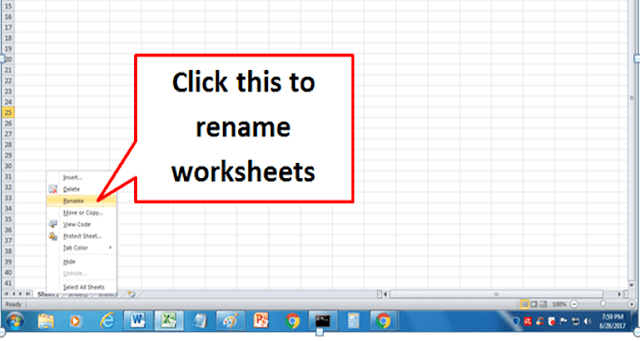 HOW TO RENAME NEW WORKSHEET- After you insert a new worksheet, you need to rename it with your own desired name in order to easily identify in your workbook. See image below here. Right click in sheet 1 or any of the page tab, then click "Rename". After you click rename, the worksheet tab will be highlighted, now you can type your own worksheet name. 3. 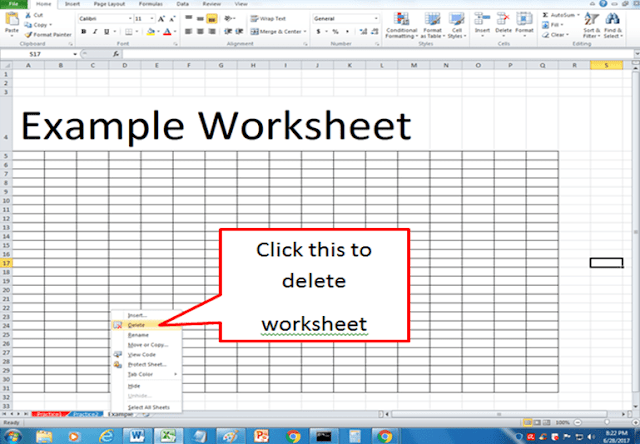 MOVE OR COPY A WORKSHEET IN ANOTHER PAGE OF WORKBOOK- You can move a worksheet into another page, example from sheet 1 to sheet 5 or at the end of worksheet page. And also you can move and copy the worksheet by creating another duplicate of the worksheet. 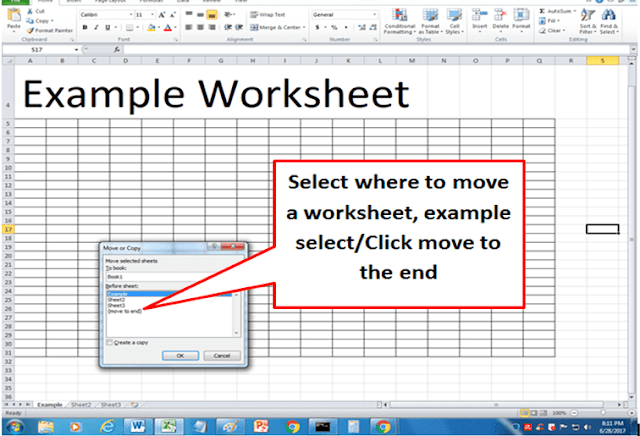 Right click of the worksheet page you want to move and click Move or Copy command. Then a pop-up small window will display, select where you want to move the worksheet, example "Move To End". And then, if you want to create a duplicate during moving the worksheet, you can check box " Create a copy" by clicking on it. 4. 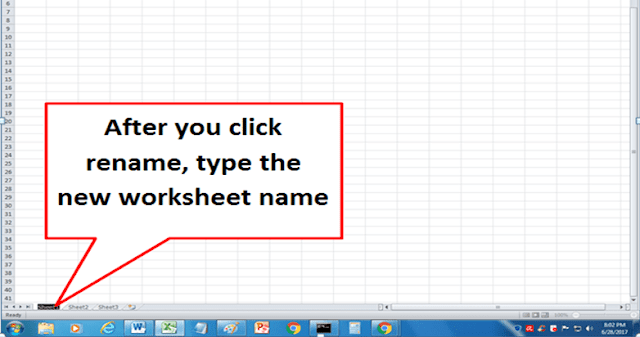 TAB COLOR- In order to easily identify your worksheet page you can put a color of your worksheet page tab. 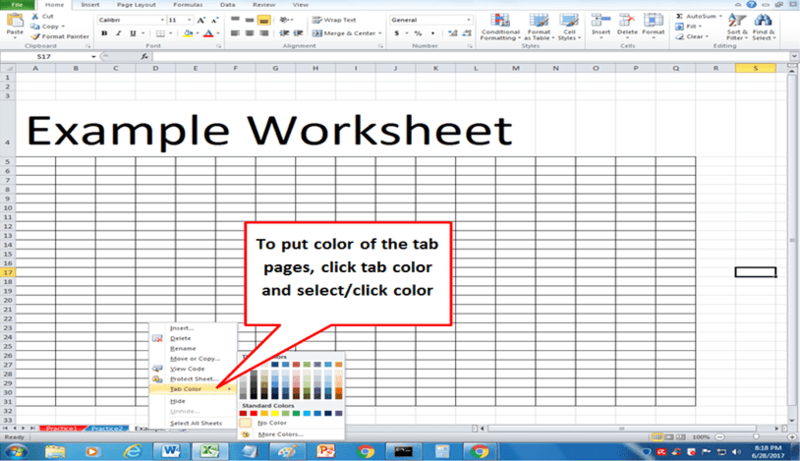 Right click of the worksheet page tab, then click Tab color, then on the right side select a color you like. You can add different color each of its tabs. 5. PROTECT SHEET- You can put the password of your worksheet for security reason. 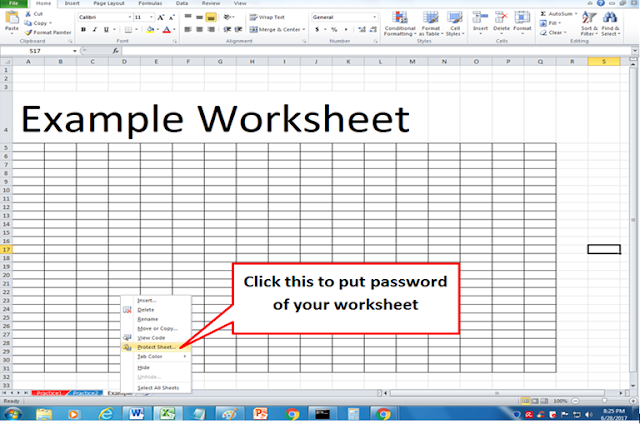 Right click of a worksheet you want to put a password, then click Protect Sheet command. A pop-up window will display, Check box the entry you want to put a password, and at the bar position top, type your password then click OK.
6. HOW TO DELETE A WORKSHEET PAGE- In order to erase a worksheet permanently, you can right click the worksheet page then click delete. 7. 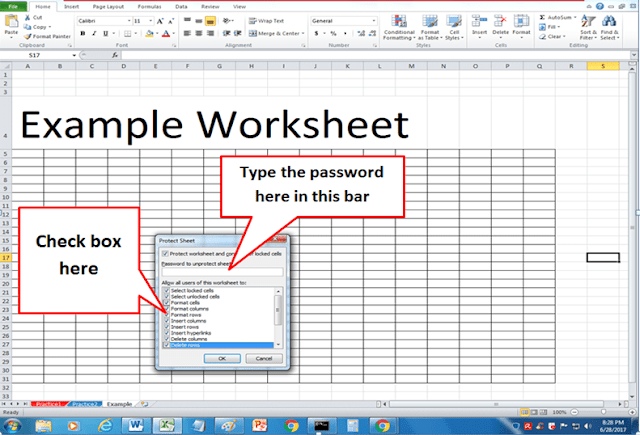 SAVE YOUR WORKBOOK- In order to preserve your application you need to save your workbook. You need to click the File Menu Top left side of your screen. Working with the Microsoft Excel data through the workbook and worksheet you need to organize each of your data in order to easily find and avoid data loss. This is a routine if you create worksheet using your Microsoft Office excel.